PAR RANGER and GUIDE Jobs 2019! These are temporary Park Ranger and Park Guide jobs for fiscal year 2019. 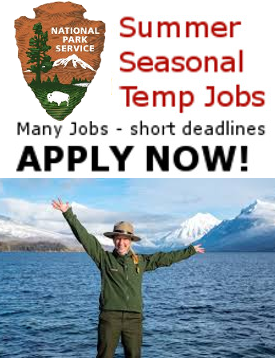 2019 SUMMER JOBS and other temporary-seasonal NPS parks jobs.